Samsung's Galaxy Gear smartwatch offers a glimpse into the future. Unfortunately, it's just not ready yet. For a watch, the Galaxy Gear sports some pretty impressive technology: It has a tiny but useable 1.6-inch touchscreen, 4 gigabytes of storage, 24 hours of battery life, a 1.9 megapixel camera, a speaker and a microphone. 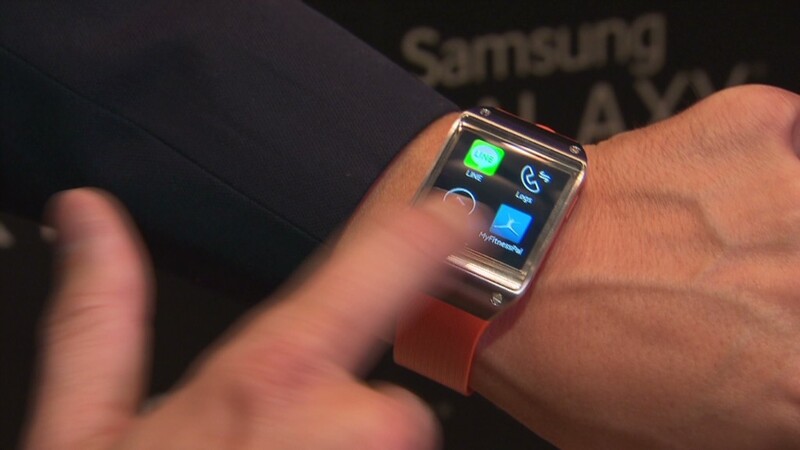 Samsung essentially shrunk a smartphone down until it was functional as a wristwatch. 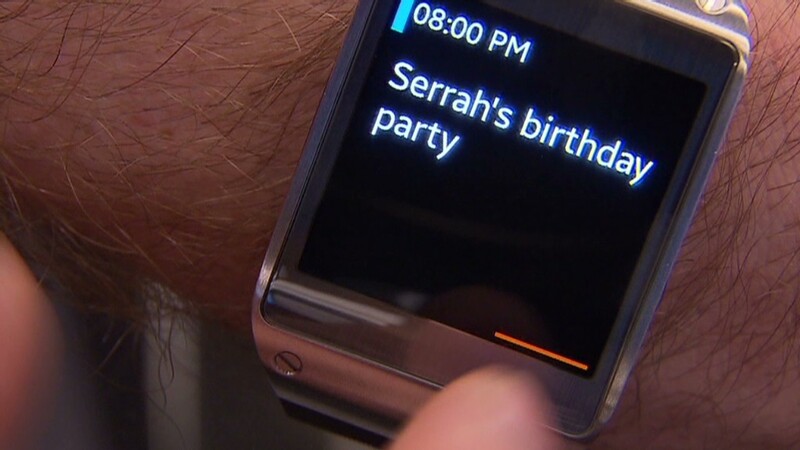 It even does a number of smartphone-like things: Galaxy Gear displays updates, including texts, calendar appointments and other notifications. It has apps, it takes pictures, and it even makes phone calls. But the Galaxy Gear isn't a replacement for a smartphone. In fact, you still need a smartphone or tablet to use most of the smartwatch's features. Complicating matters further, the Galaxy Gear currently works with just two devices: the Samsung Galaxy Note 3 and the latest edition of the Galaxy Note 10.1. Not included is Samsung's wildly popular Galaxy S smartphone series, though Samsung has hinted that those devices might be supported in the future. Related story: Is this what we really want from a smartwatch? And just because Galaxy Gear functions like a phone doesn't mean it's a particularly good one. You can make calls in a pinch, but only on speakerphone. And you awkwardly have to hold up your wrist within a couple of feet of your mouth for the mic to pick up your voice. The speaker is loud enough in a quiet setting, but can get a little drowned out when you introduce some background chatter. You can also speak commands to the smartwatch, but the feature is mostly a dud. You can use it to set an alarm, send a message, place a call or check the weather. But that's about the extent of it. Launching the "hands-free" interface still requires a considerable amount of finger action. The camera isn't bad at all for what it is. But I mostly found myself asking what purpose it serves, considering I still have to carry around a phone -- with a better camera. Galaxy Gear is no faster at taking photos, and being strapped to my wrist, there was less freedom in getting the right angle. The home screen turns on when you turn your wrist to look at the watch. It would be a neat trick -- if it worked. It turned on in response to random movements of my arm. The selection of apps was particularly disappointing. Evernote lets you upload photos and look at to-do lists. Path offered a somewhat useful app. Samsung offers a suite of generic apps, including a clock, timer, voice memo taker and pedometer. And that's about it. The Galaxy Gear also isn't a particularly attractive piece of armwear. It is somehow both utilitarian and gaudy at the same time. The smartwatch offered just a few nice touches. The internal processor is fast enough and the screen was responsive. The battery got me through an entire 24 hours, and a little extra -- fine if you're OK with having another device to remember to charge every day. And the connection between the phone and the watch is solid as it should be, and notifications arrived in real time. Even if it's not totally life-altering, getting constant updates without having to take your phone out of your picket is maybe the best case to make for owning a Galaxy Gear. But the Gear ultimately doesn't do enough that a smartphone can't. Using the Galaxy Gear is like having a maid who only takes out the trash: It's a high price to pay for something that doesn't offer much added benefit.